OHRAB seeks your help in contacting Congress to support the National Historical Publications and Records Commission (NHPRC). A division of the National Archives, the NHPRC’s mission is to provide opportunities for the American people to discover and use records that increase understanding of our democracy, history and culture. This includes opportunities right here in Ohio. Since 1976, $1.5 million in grant funding has been awarded to 50 projects across the state to establish archival programs, preserve documents and digitize and make accessible records. The NHPRC also funds OHRAB and its activities. This includes an annual regrant program that preserves and provides access to Ohio’s historical records. Since 2011, 73 projects have been funded under this program. In addition, funding from the NHPRC provided electronic records management training to hundreds of Ohioans, helping to ensure that tomorrow’s records will also be preserved. What can you do? If your representative is on the House Appropriations Committee (David Joyce R-14th District, Marcy Kaptur D-9th District and Tim Ryan D-13th District) please share a story about how the NHPRC has benefited your district or Ohio and ask that he or she support the NHPRC’s budget of $6 million. If your representative is not on the committee, please ask that they contact members of the committee to express support for the NHPRC. You can find your representative here: http://www.house.gov/representatives/find/. 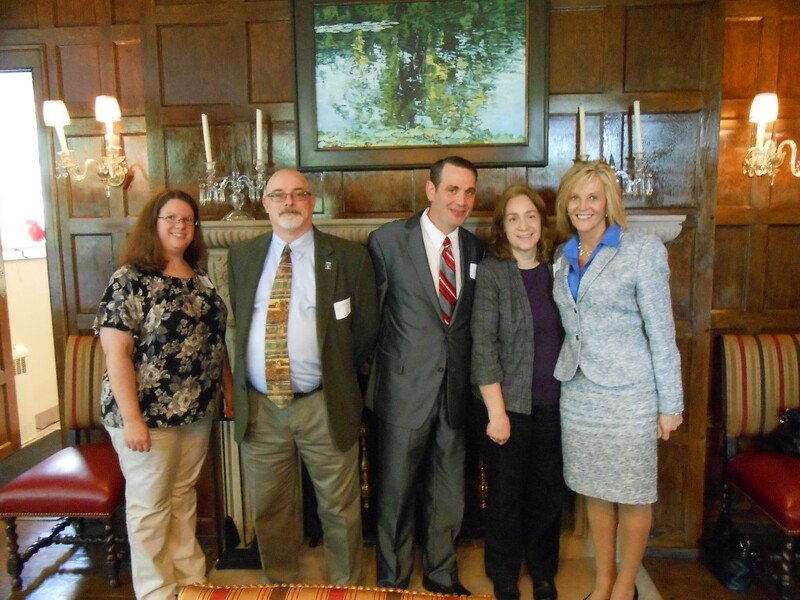 On September 30th, several of OHRAB’s Board Members attended Gov. Kasich’s luncheon thanking Board and Commissions members for their service to the State of Ohio. From left to right: Pari Swift; Dan Noonan, Vice Chair; John Runion; Dawne Dewey and Rhonda Freeze, Chair.